I’m having trouble with the network card driver under OSD-Deployment”Apply device Drivers” which driver did you import? You know I’m not sure. I’m pretty sure that SSM is smart enough to skip over any SoftPaqs that are not applicable to the model it’s running on but I have never tried it. I break mine up because some SoftPaqs I want installed on laptops but not desktops, Power Assistant for example. If you do try the single folder let me know if it works for you. I certainly can. 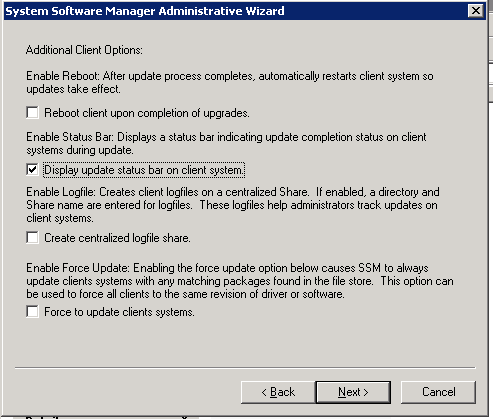 It involves using the MDT database, some queries and the MandatoryApplications attribute. I’ll try to get a post up about it later in the week. Glad to hear I could help you. Thank you. I will be looking forward to reading that post. Just posted how I did this. Let me know if you have any questions. 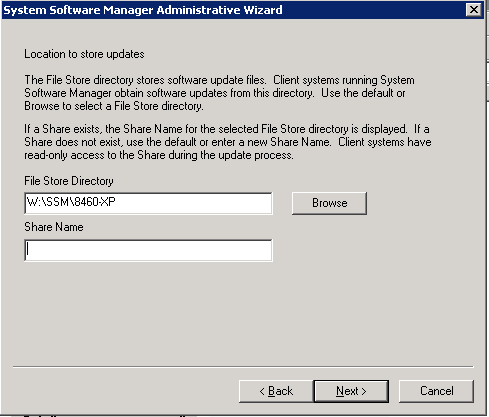 Have you tried HP SSM with MDT 2012. I have things working so well I’m kind of scared to upgrade. I haven’t tried it with MDT 2012 yet although I don’t see any reason it would not work. I’m waiting for MDT 2012 to RTW later this month and then I will play around with it. I also have everything working really smoothly so I don’t know if I want to upgrade yet! Having any trouble using this with MDT 2012? I have some issues after the reboot (which I can’t seem to avoid) when it leaves my computer in an dirty environment. @ my lab the SSM application starts, but NO softpaqs are installed, do I need the MDT database for this or can this without? SSM runs completely independent of SSM. Have you tried to run SSM outside of MDT to see if it works? I have now a working situation with windows 7! But windows 8 will not apply updates (possible updates and updates performand is empty). Did you have a working situation with windows 8? I have not tried to do any deployments of Windows 8 yet so I can’t speak to any issues you might have. Is it possible to run this off of a standalone USB media? It looks like ssm.exe automatically creates a UNC path, and I can’t edit the BIN file to make it look on the local usb drive. I just need a solution that won’t give me a dirty environment when I try to install HP drivers/features even when I tell it not to restart.